The iOPC server for DACHSview++ supports the full functionality of the OPC Data Access Server in compliance with the OPC DA Specification 2.03. The iOPC server for DACHSview++ employs the communication drivers of DACHSview used for downloading in order to exchange data with DACHSview++ target systems. This facilitates the access via OPC to all DACHSview++ target systems supplied to date. An iOPC server is also able to read out data from several DACHSview++ target systems at a time by employing several communication drivers. 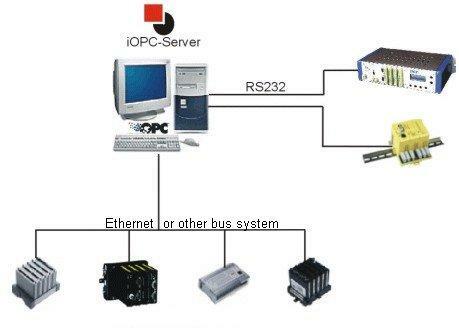 Configuration of the iOPC server is fully integrated in the DACHSview++ programming system by means of the iOPC block library. No additional tool is required for configuring the server.